Well, I’ve done it, fellow KinderCats and KinderKittens; I have found what I believe to be my earliest childhood trauma inspired by the media, going all the way back to when I was three or four. This required a bit of YouTube digging, but at long last it has been exhumed. It’s pretty silly, but for my parents, this one was oft-mentioned to friends. 3) The voice. 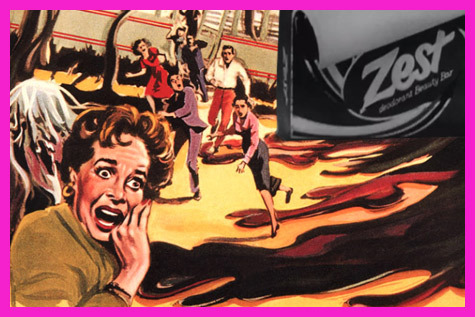 That “…ooooOOOOH” grows out of nowhere as the soap exudes from the unwrapped bar, the sound made by ghosts, the wordless siren-song of all things spooky. (I’ll even go so far as to assume that as a child I thought the female singer was dead, spectral; after all, we couldn’t see her, right?) She has the oversold quality that’s common to 50s and early 60s singers of being just a bit too emotive, too enthused about that shampoo lather. I think it’s something David Lynch nails whenever he employs music from this period. Hearing it now, I recognize that “voodoo lounge” quality to the melody that was popular at the time. 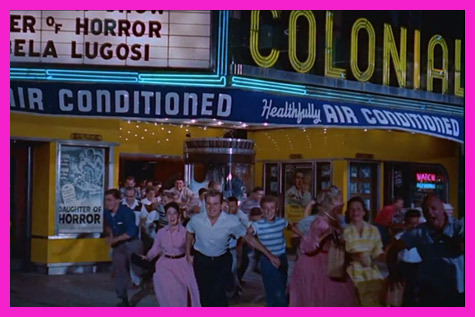 Plus, the tune is neither major nor minor but modal, a relative rarity in pop music that makes it more eerie and exotic. 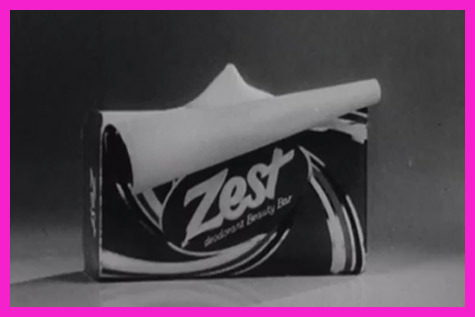 I’ve found a couple of other Zest ads from subsequent years that use that four-note “Oooh, what lather” motif, so this commercial must have done its job at branding. But none of them had the effect this one had upon me. It was my first clue in life that I was hardwired to detect the horrible and the haunted. And to answer the obvious question: Yes, I occasionally use Zest. Steller traumafession Senski! What a fascinating brain you have. This jarred a memory of mine of me getting tar on my hands as a kid and my mom washing it off with LAVA soap. LAVA soap is like sandpaper and she pretty much washed the skin off of my hands. I did learn to stay away from freshly tarred roads though. And now I’m trapped in a Youtube retro commercial sink hole and can’t climb out! Oh my! This is the first time in MONTHS I’ve been able to log in! All other tries no matter what I did would not work! I can’t think of any commercials that scared me, but apparently as a toddler I was terrified of windshield wipers. Whenever it was raining and we were in the car I’m told I was scream and cry the entire time they were running. Irish Spring is a whole other matter! That stuff made my skin sticky!